PROVIDENCE, R.I. [Brown University] — A new statistical analysis of results from the National Lung Screening Trial (NLST) concludes that performing low-dose computerized tomography screening can be cost-effective compared to doing no screening for lung cancer in aging smokers. 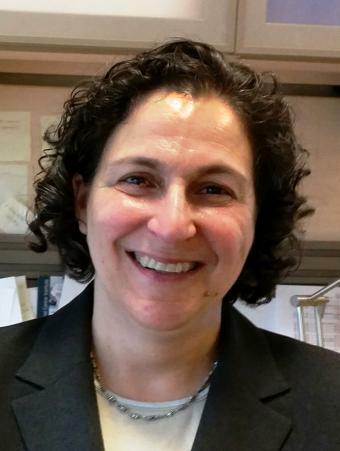 “This provides evidence, given the assumptions we used, that it is cost-effective,” said Ilana Gareen, assistant professor (research) of epidemiology in Brown University’s School of Public Health and second author on the new study in the New England Journal of Medicine. Four years ago, the vast NLST showed that low-dose helical CT scanning reduced mortality from lung cancer by 20 percent compared to chest X-rays. The study involved more than 53,000 smokers aged 55-74. Chest X-rays, meanwhile, have been shown to be no better than doing nothing to screen for the cancer. With the NLST’s trove of medical and cost data to work from, a research team including Gareen, senior author Constantine Gatsonis, professor of biostatistics, and lead author Dr. William Black at Dartmouth College’s Geisel School of Medicine, set out to determine the financial implications of conducting CT screening compared to not screening. The standard for this is to calculate a ratio of the costs of CT screening per person — including the test, any follow-up testing and treatment, and indirect costs — and the number of “quality-adjusted life-years added” per person across the population. The quality adjustment distinguishes between living in good health and surviving but with major health problems. The resulting ratio was $81,000 per quality year added. A standard accepted value is that any sum below $100,000 is cost-effective. The researchers concluded that, “whether screening outside the trial will be cost-effective will depend on how screening is implemented.” This is because, like all cost-effectiveness analyses, the derivation of the $81,000 ratio involved many assumptions. When the researchers varied their assumptions or conducted analyses of cost-effectiveness in some subgroups of patients, they found that the resulting ratios varied widely — sometimes improving but sometimes reducing the cost-effectiveness. Here’s one example: In the main analysis researchers assumed that there was no life-prolonging medical benefit to CT screening other than detecting lung cancer. But when they factored in a different assumption — that other serious conditions would be detected and treated (as happened during the NLST) — then the ratio fell to $54,000 per quality-adjusted life-year added. They also saw the ratio become more favorable when they assumed that some diagnoses of lung cancer assumed to be “excess” (diagnoses beyond the rate that is expected in the population) were cancers that would have impacted participant life expectancy, as opposed to being benign forms of lung cancer. But other changes in assumptions brought the ratio above or near the $100,000 cutoff. Examples included adding in the future health costs for survivors, assuming higher costs than in the study for screening, follow-up, or treatment — or more pessimistic assumptions about survival or quality of life. When the cost for the test reached $500 (compared to the $285 it cost in the NLST), then cost-effectiveness eroded. Another variable factor was the number of CT tests that would be needed to follow-up a positive screening test. A prior paper examining CT lung screening cost-effectiveness assumed four. Among patient subgroups, CT screening was more cost-effective in women than in men and more economical among higher-risk patients than among lower-risk ones, the analysis found. Ultimately, the study suggests that health care providers will have a substantial impact on whether CT screening proves cost-effective in the complex health care marketplace. That matters, Gareen said, because while CT scanning has a demonstrated medical benefit, paying for it means potentially not paying for something else. “Cost is becoming more and more important, and if you fund one thing, there are other things you won’t be able to fund,” she said. In addition to Gareen, Gatsonis, and Black, other authors on the paper are researchers JoRean Sicks (at Brown), Samir Sonegji, Emmett Keeler, Denise Aberle, Arash Naeim, Timothy Church, Gerald Silvestri, and Jeremy Gorelick (formerly of Brown). Also at Brown, Stavroula Chrysanthopoulou, Sarah Demello, Prattikumar Desai, and Eric Greco contributed to the analysis. The National Cancer Institute funded the NLST, including this study (grants U01-CA-80098, CA 79778). The study was conducted by the NCI-funded American College of Radiology (ACRIN), now part of the ECOG-ACRIN Cancer Research Group.